Why Host a CSAF Championship? 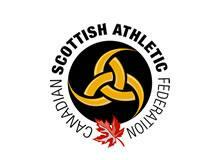 The Canadian Scottish Athletic Federation (CSAF) is chartered to preserve the traditional athletic heritage of Scottish culture through Highland Games in Canada in the form of the Heavy Events. We seek to respect the diversity of the Games in Canada, while providing support and opportunities for national unity through dialogue, education, and championships. Congratulations to the Moncton Highland Games on being the Host of the Inaugural CSAF Lightweight Championship, taking place Saturday June 15th. Athletes will be selected based upon those applying via email to robertlionelyoung@hotmail.com before April 10th. 8 athletes will be decided upon by the Selection Committee based upon 2018 performance. Because this is the 1st Championship for a relatively new class, the selection will not be done strictly from the 2018 Lightweight Rankings, as athletes may not have had the opportunity to compete in the Lightweight class at games in their region. The Selection Committee will look to ensure at least 1 athlete from each CSAF Region. On behalf of the CSAF Board, I would like to announce that the The Gathering of the Scots Festival in beautiful Perth-Andover, New Brunswick has been awarded the 2019 CSAF Women's Championship! The event will take place June 1, 2018. Invitations will start to circulate within the next couple of weeks. On behalf of the CSAF Board, I would like to announce that the Calgary Highland Games has been awarded the 2019 CSAF Open Championship! The event will take place August 31st, 2019. Invitations will start to circulate within the next couple of weeks. Congratulations! A reminder that bids can come in at any time for any of the championships. Happy training everyone! Please note the following policy changes to the database for the 2018 season. Implement weights and measurements must be verified prior to competition and after any changes to the implement are complete. This includes, but is not limited to, cutting the caber, replacing hammer handles and changing links on the weights. Any questions can be forwarded to me. Thanks!